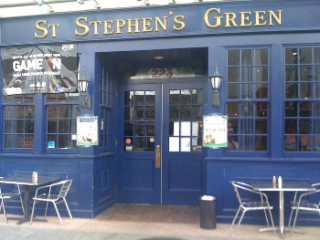 Welcome to Stephens Green Irish Sports Bar & Restaurant. We show a wide range of Sports including Soccer; Premiership, MLS & Champions League, Football- NFL Sunday Ticket, College football, Big Ten, ESPN College Extra,Longhorn, SEC package, Hockey, Baseball, Basketball, Rugby and much more. We also feature a great Restaurant serving lunch and dinner 7 days with brunch Saturday & Sunday. We offer a full menu with lots of Irish fare, great burgers, sandwiches & salads. Check out our Bottomless Mimosas ! Purchase any breakfast and enjoy bottomless mimosas for $11.03. Valid Sat & Sun until 2pm* (exclusions apply). Our Evening Entertainment line up includes Trivia Night every Monday, DJ every Thursday, Friday & Saturday, Latin nights every 4th Saturday. Happy Hour Mon-Fri 3pm - 6:30pm* (*except holidays & special events) Draft Beers from 3pm-6:30pm; priced $2.99 to $3.91. Cocktails & Wine 3pm-6:30pm $4.14 House Wine, $4.14 Reyka Vodka, $5.98 Reyka Vodka Martinis. Up to 50% off selected menu items! Molly Magees is located in downtown Mountain View on lively Castro Street, just blocks from the Caltrain Station. This authentic Irish Pub is the perfect place to stop for a pint and relaxation with friends. We offer the best happy hour and drink specials in town. 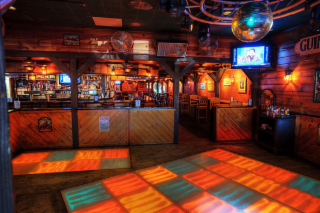 Local pub serving bar food & drinks in a versatile setting with a back patio & dance floor. The opal is a beautiful gemstone known for its bright, fiery flashes of color. They say that the opal inspires creativity, imagination, love, and inner peace. So it is with Opal Nightclub and Event Venue. Located in downtown Mountain View, OPAL was conceived to appeal to the upscale Silicon Valley patron. Its decor reminds one of Hollywood - glamorous furnishings, comfortable VIP seating, and crystal chandeliers, highlighted by artistic video displays. 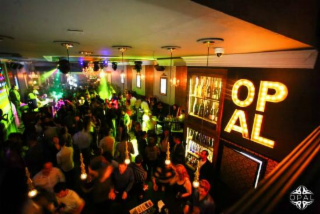 OPAL has become THE destination for quality mainstream DJs, great dancing, excellent service, and reasonably priced cocktails. OPAL is much more than Silicon Valley's favorite nightclub. To go to OPAL is to celebrate and have fun. On any given night, there could be a birthday party, a bachelorette sendoff, a Meetup, a team gathering or a company meeting. Recently renovated and managed by industry veterans, OPAL will exceed your expectations. OPAL's team of experienced professionals looks forward to seeing you soon! 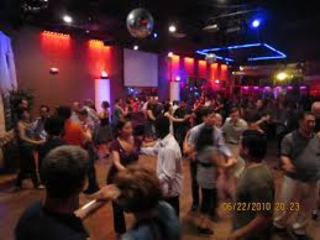 This Latin dance club hosts DJs, live bands, pageants & salsa dancing in a cavernous space..
Mountain View Salsa Club for Salsa Dancing Music, Salsa Dancing Lessons and other Night Club Nightlife. 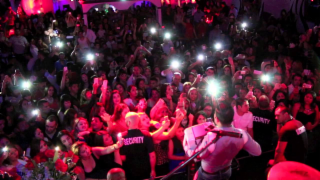 DJs spin Latin sounds for dancers showing off salsa, bachata & tango steps at this nightclub.